(MONDAY UPDATE: Rivera had an 11 a.m. news conference with the media but did not know what his future held. He said he hoped to keep his job and that he would be meeting with owner Jerry Richardson soon to determine what his and the team's future will be. He did not sound particularly confident. Players leaving the stadium who were interviewed expressed pretty much unanimous support for the current coaching staff). Ron Rivera's Panthers won the final four games of their season, finishing a respectable 7-9 and winning a tiebreaker to end up second in the NFC South after edging New Orleans 44-38 Sunday. They lost way too much too early, which meant they missed the playoffs for the fourth year in a row. But ultimately they did play a little better overall in the second year of Rivera's reign (in 2011, they were 6-10). I also believe Rivera has improved as a coach and is starting to curb his conservative tendencies. Witness him reconsidering an early punt against the Saints on fourth-and-8 from the New Orleans 37 and instead going for a 54-yard field goal. The field goal missed, but nevertheless it was the right call. When you play the Saints, you must pile up the points, and the Panthers did so. I also liked the fact that the Panthers knelt down inside the New Orleans 10 to end the game rather than try to score again. That was classy, especially given the fact the Saints had tried to grab every NFL record they could a year ago, keeping in their starters with the game well out of hand. -- It was impossible not to be impressed by Cam Newton's toughness Sunday. I thought the second time his left leg got bent back almost underneath him that he was done for the afternoon, and yet there he came again, getting retaped and finishing the game after Derek Anderson subbed in briefly (and effectively). -- I still believe that Carolina has too much money invested in the running back position and I won't be surprised (or displeased) at all if they part with DeAngelo Williams in the offseason. But with Jonathan Stewart so limited due to injury in 2012, having Williams was far more than a luxury Sunday -- it was a necessity. He had one of the best games any Panther running back has ever had (albeit against the defense that has given up more yards than any NFL defense ever in a single season). Williams rushed for 210 yards and two TDs, the most rushing yards in a game any Panther back has ever had. -- One way to prolong Newton's durability: forget about giving him the ball on third-and-short and goal-line situations. Mike Tolbert has the body for that, as he proved Sunday with three short TDs in which he simply bowled his way through the line. -- If only Charles Godfrey could play against Drew Brees every week. Godfrey's only two interceptions all season came against Brees -- one he returned for a TD in Week Two and the second set up a crucial Carolina TD in this game. -- By winning this one only six points, Rivera finally got another "close" win. The Panthers are now 2-12 in his tenure in games decided by a touchdown or less. On Sept.16, Carolina whipped New Orleans, 35-27, in its 2012 season home opener. That led to some premature confidence, as best expressed in this quote from Cam Newton after the game. "The vibe is changing," Newton said. "Not only for this team, but for this whole organization." Well, no. It didn't. The Panthers didn't win again until November, and by then the season was in shambles and general manager Marty Hurney had lost his job. The team has since played well for the most part, going 4-1 over their last five games, but the terrible start means that the Panthers (6-9) will miss the playoffs for the fourth straight season. New Orleans is also playing well now, but was likewise doomed by a poor start. The Saints have gone 7-4 since starting 0-4. Sunday's game probably won't look like a contest between two losing teams, but that's what it ultimately is. -- In case you missed my earlier column, I am advocating that team owner Jerry Richardson give coach Ron Rivera a third year to try and get the team turned around. I believe Rivera has gotten better as a coach and that to change out the entire coaching staff again would be a "one step forward, two steps back" approach. -- The Saints and Panthers have had very similar seasons in several respects besides the slow starts. They can play beautifully. They are responsible for both of 13-2 Atlanta's losses this season. And they can play horribly. They are also responsible for 2-13 Kansas City's two wins. -- One thing about the Saints: they play entertaining football. Their average score this season is 28-27. The Panthers both score and allow about a touchdown less than that. I think this game will be a high-scoring season finale, and that Carolina will play just well enough to win its fourth straight game. My prediction: Carolina 37, New Orleans 33. 1. Dwyane Wade really took a cheap shot at Ramon Sessions (see the video here) during the game, lashing out with his left leg after Sessions fouled him and catching Sessions right in the groin. Sessions said after the game (a 105-92 Miami win) that he thought Wade did it on purpose, and I can't imagine that some sort of NBA punishment won't be forthcoming for Wade for that one. It was just too obvious. (UPDATE: On Thursday night, the NBA announced Wade would be suspended for one game without pay because of the incident -- that doesn't really help the Bobcats, though). 2. LeBron James (the subject of my Thursday column) was just so darn good one day after basically beating Oklahoma City by himself on Christmas Day. James had four dunks and four steals in the first quarter alone and ended up with 27 points, 12 rebounds and eight assists. But he was still mad about a late three he took in the game that dropped his shooting percentage below 50 percent. He declined comment on whether he thought Gerald Henderson's hard foul on an attempted dunk was a cheap shot, but some of his teammates sure thought so. 3. Buried on the bench for weeks, Hakim Warrick (18 points, nine rebounds) absolutely has to play more for Charlotte. 4. Miami Heat coach Erik Spoelstra really likes Kemba Walker (who had 27 points, six rebounds and six assists). "When Walker is hitting threes like that, he's a tough cover," Spoelstra said (Walker was 4-for-8 on three-pointers). "He's an interesting player. He's built with such a low center of gravity. Great handle. Great change of direction. Deceptiveness. He's a tough guy to corral. He's got a very bright future ahead of him. He's quick, can play 40-plus minutes and it never looks like he's tired. So it was a challenge to keep him out of the paint and when he starts knocking down threes, that makes him equally as tough." 5. The learning process continues for rookie Michael Kidd-Gilchrist, who had four fouls and only two field goals in 22 minutes. Ron Rivera has a lot to lose Sunday. Think about it. The Panthers (5-9) close the season at New Orleans, a team that is suddenly hot again and particularly good at home. If the Panthers win that one, it's a bonus. They won't be expected to, even though they beat the Saints at home earlier this year. But this one? This one against Oakland (4-10) they should win, and that's what makes it dangerous. Throw in a clunker against the Raiders, and the "Give Rivera One More Season" bandwagon (of which I'm a charter member, as I wrote this week) throws a rod. A loss to Oakland makes it look like the Panthers just aren't consistent enough to deserve much continuity. What Oakland did to Kansas City -- a 15-0 win last week -- was what the Panthers should also have done to the Chiefs. I know the Chiefs were in an emotional state, but there's still no excuse to make Brady Quinn look like Tom Brady. That's the one jarring note in this "3-wins-in-4-games" thing for the Panthers. Losing to Oakland at home would be very similar to losing to the Chiefs on the road. You would send fans out grumbling in the pre-Christmas chill, angry about all the money they spent on an inferior product. So win a third straight game and Rivera can cite all sorts of reasons why he should be kept on if he has to justify himself to owner Jerry Richardson and/or the new general manager before the final decision is made. Lose, though, and that list shrinks considerably. -- One nice part about Sunday's game if you're watching on TV: It's a rare chance to hear Steve Beuerlein on TV. Beuerlein, the former Panther quarterback, is smooth on the air but works for CBS, and I'm usually watching or listening to Fox announcers since the Panthers play in the NFC. In a three-hour telecast, do you think they will work in at least one reference to the famous Beuerlein draw play at Green Bay? -- The last time Oakland and Carolina played was four years ago in California, and Jake Delhomme had perhaps the worst game a Panther quarterback has ever had in a victory. He was 7-for-27 for 72 yards, one TD, four interceptions and a pass rating of 12.3. The Panthers still won 17-6 behind a defense keyed by Julius Peppers. -- I think the Panthers will win their third straight game Sunday. I missed their upset against San Diego last week, falling to a horrid 6-8 on gameday predictions for Carolina. My pick Sunday: Carolina 32, Oakland 19. If you didn't see the full-page advertisement in Monday's Charlotte Observer sports section that was very critical of team owner Jerry Richardson and coach Ron Rivera, you can see the original story about that ad right here. The ad inspired a lot of debate on both sides. Incidentally, I wrote in today's newspaper that I believe Rivera should be given one more year by Richardson, but that he should be fired following the 2013 season if he doesn't make the playoffs. Some have praised the ad for its bluntness. Some have criticized it for its anonymous nature. Today, I received the following email from the "Perturbed Panther" fans who wrote the original ad (so they say), and I am reprinting their email on this blog in full without additional comments so you can judge it for yourself. Feel free to leave your own comments about their email below. I've been asked to contact the Observer on behalf of a large number of Panther fans (many not PSL owners) regarding the reaction to the open letter to Mr. Richardson that was in yesterday's paper. It seems some media outlets are more interested in the names of the many dissatisfied and demoralized fans in Panther land, or the cost of the ad itself, rather than in the heart and soul of our message. First, this is not about whining, money, different classes of fans or anything personal between us and Jerry Richardson or Ron Rivera. Both seem like nice gentlemen, but we don't know them personally and that is not the point. What this is simply about is unacceptable RESULTS and the extreme frustration felt by so many of us by the failure of Mr. Richardson, or to some respect, many of Charlotte's media outlets, to address this perennial dilema openly, honestly and thoroughly. We fans are happy to pay for entertainment and know there will be up and down years in any professional sports franchises history but the Panthers' results are borderline embarassing and we think we fans and the Carolinas deserve a better effort instead of that old bromide about repeating the same thing year-after-year and expecting better results. At the end of the day, four winning seasons (and none consecutively) in 18 years is indisputable and kind of says it all. This record, by definition, simply cannot be reflective of effective ownership/management of this or any professional franchise. Then we wonder why a former highly competitive professional athlete and successful businessman would tolerate repeated mediocrity or embarassment. The only answer we can come up with is money. If personal net worth is going up tens of millions of dollars a year, human nature suggests it is awfully difficult to get too upset about the core endeavor that is generating such wealth. Put another way, if the Panthers performance on the field were generating out-of-pocket losses each year, would Mr. Richardson's sense of urgency and efforts to turn things around be as understated? Scott, the NFL "business trade" is simple: Community gets behind wealthy owner(s) to get franchise established; Once franchise granted,owner virtually guaranteed escalating wealth by the league and parity provisions; Community receives direct and indirect economic stimulation; Fans pay up for right to be entertained and engender pride in franchise and greater community; Team performs at level adequate to sustain the preceeding benefits at highest levels. The only element of the trade here in Charlotte that has not been delivered is the last one, which happens to be the only "pay back" for us fans. When critics of our letter say we're a bunch of whiners who, if we don't like how things are going, should sell our licenses and/or tickets, our response is: WE DON'T WANT TO QUIT! WE LOVE OUR TEAM AND OUR COMMUNITY! WE WANT THIS OWNERSHIP TO WAKE UP AND DELIVER ON THEIR END OF THE BARGAIN! That is the point we are trying to deliver to the media and Mr. Richardson. Who are we? We are the heart and soul of the Panthers; their most loyal (and demoralized) fans. We have taken the time and chipped in some money to go public with our views and open the fact-based discussion. We get criticized for speaking our mind and remaining anonymous. 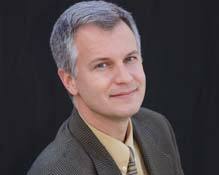 Everyone knows who Mr. Richardson is but,with rare exception, he chooses to stay silent. Which do you think is worse. You guys in the media take the torch from here. Pressure Mr. Richardson to lay-out a specific and plausible turn-around plan. We have done our part and hope you will help get this ownership to deliver on theirs. Respectfully, TRUE PANTHER FANS EVERYWHERE! Panthers whip San Diego 31-7 -- doesn't it make you a little frustrated?? Doesn't it make you kind of frustrated? Doesn't it annoy you a little that the Carolina Panthers have chosen this time of year to play their best football? The Panthers continue to play their best when it matters the least, whipping San Diego, 31-7, on the road Sunday. That win, combined with the 30-20 stomping that the Panthers gave an Atlanta team that is now 12-2 last week in Charlotte, means the Panthers are 5-9 and have won consecutive games for the first time all season. (I covered the Atlanta game in person but watched the San Diego one from my couch -- check The Observer for great coverage from our three writers who attended the game). Normally, December would be a great month to be playing great. But the Panthers started so horribly that by the time they lost a road game to woeful Kansas City on Dec.2nd, the rest of the season became largely irrelevant. Well, it is relevant in one big way, in that some jobs are going to be saved around here because of it. Whether head coach Ron Rivera's is among them remains to be seen, but certainly the Panthers aren't going to undergo quite as dramatic a turnover in personnel as they would had they closed out the season, say, 3-13. Instead, the Panthers (5-9) will end up somewhere between 7-9 and 5-11. Still a losing record, but not quite as dark a season as it once appeared. But as Rivera said last week following the Atlanta game in a quote that could go for this San Diego game as well: "This shows exactly what we are capable of. That's the sad part." Cam Newton has now thrown more than 150 passes in a row without an interception, breaking a team record (he hasn't had a pickoff in five games). Newton had two TD passes Sunday but left most of the running to the backs after coming up gimpy early on a big hit, including Mike Tolbert (two rushing TDs) and DeAngelo Williams Newton finished the game but obviously wasn't as mobile as usual. It didn't matter because the Panthers' offensive line was superb and so was Carolina's defense. It made San Diego quarterback Philip Rivers look awkward and average, as he fumbled four times and was sacked six times. The Panthers were up 21-0 after the first quarter and 24-0 at halftime and basically coasted in from there. So Rivera made his former boss, Norv Turner, more likely to get fired after his Chargers dropped to 5-9. And he made himself a little more likely to be retained with a Panther team that once again will be left to ponder, when this season concludes Dec.30th in New Orleans, what might have been. Sunday will be a difficult day for both Ron Rivera and Norv Turner. Both are in danger of getting fired in a matter of weeks -- and whichever man loses this Carolina-San Diego matchup is probably in even more danger. Rivera served as defensive coordinator under Turner at San Diego from 2008-10, and he now employs Turner's son Scott on his own staff. Rivera and Turner remain close friends, and Rivera has had something of a San Diego-to-Carolina player pipeline during his two years in Charlotte (it has produced only mixed results). The record similarities (4-9 for Carolina, 5-8 for San Diego) are obvious for two teams that were supposed to be playoff contenders. What's also unusual is that each team might have played its best game of the year last week (Carolina beating Atlanta and San Diego beating Pittsburgh). Turner's biggest problem this season has been with the NFC South. The Chargers are 5-5 against the AFC, but have gone 0-3 against Atlanta, Tampa Bay and New Orleans. Rivera's biggest problem has been an uncanny ability to lose games decided by seven points or less (the Panthers are 0-7 in those games). It's possible that both men will be gone no matter what happens Sunday, of course. But either way, it's not going to easy for either one of them. -- Although the Chargers will give up some points, their defense is very opportunistic. The Chargers have seven defensive scores this season, tied with Chicago for the most in the NFL. -- The last time the Panthers played in San Diego was the opening game of the 2008 season, when Jake Delhomme threw an end-zone dart to tight end Dante Rosario as time expired for a 26-24 win that began Carolina's last playoff season. Do you know who Rosario plays for now? The Chargers. -- Philip Rivers does a lot of things well, but one that the former N.C. State quarterback doesn't get enough credit for is simply showing up every week. Rivers will start his 110th straight game against Carolina -- the second-longest starting streak among active quarterbacks (the New York Giants' Eli Manning is at 132). Carolina's Cam Newton (who will make his 30th straight start Sunday) would need to start every Panther game until late in the 2017 season to get to 110. -- Don't put much stock in my prediction (I can hear you saying, 'Don't worry, we won't.') This has been one of the hardest Panther teams to predict week to week, and I missed them again last week when they upset Atlanta. My record on the year picking Carolina: 6-7. My pick Sunday: San Diego 33, Carolina 27. NFL commissioner Roger Goodell is again thinking about trying to push through an NFL playoff expansion, and I think it's a good idea. "Right now we're with 12 teams obviously," Goodell said Wednesday in Dallas at an NFL meeting. "We'll look at probably 14 or 16 teams." Now this idea has been run up the flagpole before in the NFL's competition committee, but to no avail. (Instead, dumb things like moving the kickoff up from the 30 to the 35-yard line have passed -- go figure). But to me, 14 teams would be a fine expansion of the playoffs starting as early as the 2013 season. Sixteen is too many -- that's half the league and makes it seem too much like the NBA (which includes 16 of 30 teams in its playoffs). With 14, you still have the first-round "you get a bye" incentive for the No.1 team in both the NFC and AFC. And everyone else has to play in the first round. More teams are involved in the postseason chase in December (and, of course, the NFL and TV networks are happy, because two extra playoff games bring in more money). Some folks will argue that there are too many mediocre teams getting in the playoffs already, but that's usually because an 8-8 team winds up winning a division somewhere. That's going to happen with 12 or 14 teams, because the divisions aren't going to change and with eight division champs in a 32-team league, one is often going to have a fairly mediocre record. But if you look at the No.6 seeds in each conference that have won the Super Bowl in recent years -- the New York Giants and Pittsburgh Steelers have both won from that "last team in" spot -- you realize that pro football really is an "Any Given Sunday" sort of sport. A team that is hot at the end of a season can totally run the table. Giving a No.7 wildcard seed to one more 9-7 or 8-8 team strikes me as a fair thing to do, because that team frequently will be able of pulling a first-round upset. For all you NFL traditionalists, remember that the league once had 14-game regular seasons, eight-team playoffs instead of the current 12 and no overtime at all except for the playoffs -- and tweaks to all of those items worked out OK.
Sports Illustrated's Peter King, however, hates this idea. And I like and respect Peter as one of the best writers and reporters in the NFL business. Part of one of King's tweets on the subject read: "I absolutely, positively oppose watering down the playoffs. Foolish, foolish idea." On a side note: This isn't part of my reasoning on this, but such a move would undeniably help out a team like Carolina (although not this season). The Panthers will have missed the playoffs 14 times in their 18 seasons by the time the 2012 season concludes, several times by just a hair. 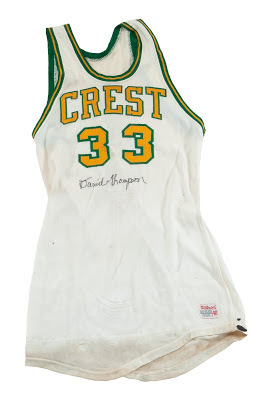 N.C. State basketball legend David Thompson netted about $164,000 recently by auctioning off a lot of the basketball memorabilia he had collected over his hall of fame career. I wrote originally about this in late November. In our interview for that story, the 58-year-old Thompson said he was selling some (but not all) of the stuff he collected through his dazzling basketball career because that while he “isn’t broke by any means” that he wasn’t particularly nostalgic and that most of his memorabilia was gathering dust. And the money wouldn’t hurt, either, he acknowledged. Of the 49 items Thompson put up for sale through SCPAuctions.com, a California-based company, 45 received the minimum bid and were sold. The only four that did not sell were all relatively minor trophies or plaques. 1. 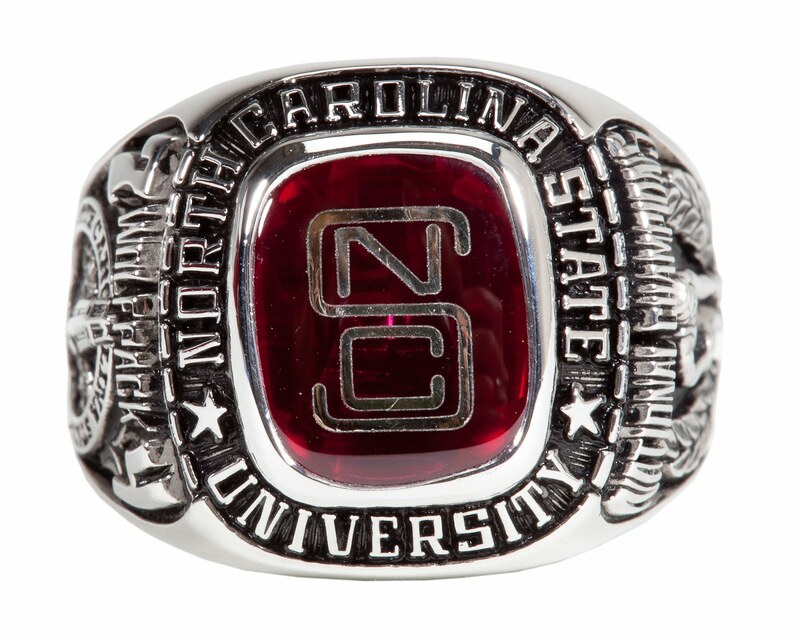 His 1974 N.C. State national championship ring for $44,427. 2. His 1996 hall of fame induction trophy for $27, 971. 3. The game net from the 1974 N.C. State-Marquette national championship game for $17,365. 4. His 1976 ABA all-star basketball signed by numerous ABA greats for $13,045. 5. His hall of fame circular bust for $10,237. 6. The Crest (N.C.) high school jersey (pictured below) that he wore for three straight years for $10,038. Thompson was not a national headline-grabber in the November auction, which featured about 2,000 items altogether from various sports greats. Ozzie Smith’s 13 Gold Glove awards from 1980-92 – sold in a group – went for a whopping $519,203. Babe Ruth’s 1922 team sweater went for $250,642. Oscar Robertson’s 1963-64 NBA MVP award sold for $177,632 and Paul Hornung’s Heisman Trophy sold for $173,102. It is unclear who bought what, because the buyers in such auctions are granted anonymity unless they voluntarily come forward. 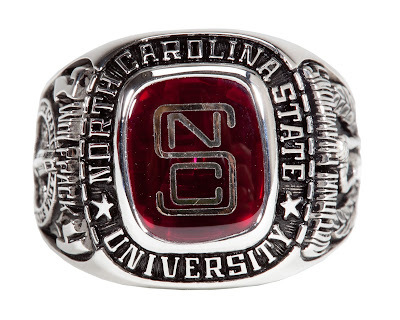 Thompson said in our November interview he hoped some of the buyers would ultimately donate what they purchased to N.C. State’s newly established athletic hall of fame. He also said he planned to donate some of the money he earned from the sale to charity. On Saturday, Appalachian State center Brian Okam launched the free throw seen 'round the world. His so-bad-it's-funny free throw has already gotten close to 4,000,000 views on YouTube, going viral in a spectacular way. The humor is helped by the announcers, who say: "Second free throw -- my goodness!" And: "I'm not sure what that was. Good Lord!" For background, Okam is a 7-foot-center from Nigeria who transferred from Rutgers and doesn't play much for 1-7 Appalachian State -- about 10 minutes per game. He has made 2-of-5 free throws this season. A free throw is 15 feet, and his attempt arched high and got maybe six feet. You've got to see it, really. It's also ironic that it was the second of two free throws, and he had made the first. The Bobcats' Gana Diop still holds the unofficial record for worst free throw in a pro game. It's on YouTube too -- of course -- and has gotten around 1.8 million page views. But it's better than Okam's attempt -- Diop's probably is only five feet short of the rim. Check them both out and see what you think. For one Sunday, the Carolina Panthers were just what Ryan Kalil once predicted them to be. (UPDATE: Here's my column on Cam Newton and that remarkable 72-yard TD run). Strangely enough, the Panthers looked Super Bowl-worthy for three hours, never trailing and beating Atlanta, 30-20, at Bank of America Stadium on a day that began with a drizzle and ended in brilliant sunshine. The Panthers are only 4-9 and going nowhere except home in the postseason, despite Kalil's preseason "We'll Win the Super Bowl" prediction in a full-page Observer advertisement in July. But they absolutely dismantled Atlanta (11-2 and already the NFC South champions for 2012) in the first half, then held on convincingly in the second when the Falcons tried to mount a comeback. 1) The Panthers won the coin toss, and it seemed symbolic. It was the first time in 14 tries this season they had done so, as Atlanta called the toss incorrectly. Carolina then immediately took the opening kickoff and scored on a long drive. 2) The Panthers outgained Atlanta 270-35 in the first half and led 16-0 at halftime. It was uncanny -- especially the play of Carolina's defense. 3) Cam Newton's 72-yard TD run in the third quarter. On a zone read option play, Newton kept and raced through a huge hole. He looked like he might be stopped around the 20, but slowed down to allow Steve Smith to throw him a block and then did a front flip into the end zone. Yes, a front flip. It had to be one of Newton's best five NFL plays ever. Also, for the fourth straight game, Newton did not have a turnover of any type and became the first Panther QB ever to have a 100-yard rushing game. 4) Carolina kept the Falcons down just enough late. Remember, Carolina had led Atlanta 28-24 in the fourth quarter the first time these two teams met in late September, only to lose 30-28. This time the Panthers led 23-0 and kept the Falcons down just enough (helped by a diving Thomas Davis interception. Ron Rivera gave a game ball to Davis after the game, then broke down talking about it in his press conference afterwards). The Panthers actually made Greg Hardy -- the Panthers' defensive end who had said flatly on Wednesday that the Panthers were a better team than Atlanta -- look like a prophet. 5) DeAngelo Williams. Behind some great blocking on a screen pass (and a perfect call by the coaches), DeAngelo sealed the game with a 53-yard touchdown that put the Panthers up 30-13 and clinched the game with 4:11 to go. Then Williams did something else unusual -- when Newton came to get the football to give it to a fan in the end zone (as is Newton's custom on most Panther TDs) Williams wouldn't give it up. The two playfully wrestled for the ball for a moment, but DeAngelo kept both hands on it and took it to the sideline with him. Newton said afterward that those are "good arguments to have." If the Carolina Panthers are ever going to get to where they compete regularly for the NFC South title, they are going to have to start owning Interstate 85 instead of paying the Falcons a toll every time they drive on it. Although New Orleans won a Super Bowl with Drew Brees after the 2009 season, the Falcons have been the most consistent team in the division since head coach Mike Smith took over in 2008. This is Smith’s fifth season, and he is 54-22. That’s ridiculously good. Ron Rivera, by comparison, is 9-19. The Falcons have also beaten Carolina five times in a row. The Falcons (11-1) have a collection of great skill players and enough good players everywhere else that they are in every game and win most of them. The only real blot on their team’s resume is the lack of a Super Bowl win. And it might happen this year. I thought Carolina (3-9) actually outplayed the Falcons back on Sept.30 in the Georgia Dome, but Atlanta made the plays at the end to win. That game was a huge part of each team’s season, sending them in far different directions. -- Atlanta will be quite a test for Cam Newton, who hasn’t committed a turnover in any of the past three games and has actually raised his quarterback rating to slightly above the level that it was during his rookie year of 2011. The Falcons intercepted Brees five times last week. -- Matt Ryan threw the ball 40 times the first time the two teams played. Michael Turner – who almost always creams the Panthers – only had 13 carries. Turner gained 103 yards on those carries, and if I’m the Falcons, I’d feed it to him at least 20 times Sunday. That would also help Ryan stay off the ground – the Panthers sacked him seven times in September. -- The Panthers have lost 13 straight coin tosses this season (12 for the opening kickoff, one in overtime). The odds of losing 14 straight coin tosses are 1 in 16,384. -- After incorrectly picking the Panthers to beat Kansas City a week ago, I’m no better than a coin flip myself on their games, with a 6-6 record. My prediction for Sunday: Atlanta 24, Carolina 21. Panther quarterback Cam Newton knows that there are a lot of people playing and coaching for their jobs in this 3-9 Carolina organization right now. He even considers himself to be one of them. Newton continued that theme by noting that the final month of the season will be heavily evaluated by whomever is doing the judging at that point (it’s unclear whether Rivera will be fired or not, but the team certainly will have a new GM). Newton is actually as safe a bet as there is to return for Carolina in 2013, when he will enter Year Three of his original four-year rookie contract (with a club option for a fifth that will certainly be exercised). Somewhat lost in the debris of this 3-9 season is the fact that it’s been three games since Newton has committed a single turnover of any type. The Panthers’ quarterback has had one of the best trio of games of his brief NFL career, throwing for six touchdowns and zero interceptions and running for two more TDs in the last three contests. Still, the Panthers have only gone 1-2 in those games. His point about the roster churn is very valid. It’s generally accepted in the NFL that about 30-40 percent of a team’s roster changes over every season. But Sports Illustrated’s Peter King noted in a recent story on the Indianapolis Colts – who have been one of the biggest success stories of the 2012 NFL season – that the Colts’ overall roster is actually 69 percent different than it was in 2011. Newton had a key fumble in the Panthers’ 30-28 loss at Atlanta on Sept.30 – a defeat Ron Rivera said Wednesday that Newton took very personally. Because Newton is from Atlanta and was a Falcons fan growing up, he places particular importance on beating the Falcons (11-1). Now that the New Orleans Hornets are expected to become the New Orleans Pelicans, it’s time to solve the Charlotte Bobcats’ own name issues. The simplest solution is the best: The Bobcats need to rebrand themselves as the Charlotte Hornets. Michael Jordan told The Observer in a group interview I was part of a month ago that he would consider changing the nickname if and when the New Orleans franchise gave up the “Hornets” nickname. “Down the road” is apparently here, according to a Yahoo Sports report that cites numerous sources in saying that New Orleans will rebrand itself as the Pelicans, perhaps as early as the 2013-14 NBA season. The team has planned to change its nickname ever since New Orleans Saints owner Tom Benson bought the team earlier this year. The report isn't official yet, but no one has stepped forward to deny it from New Orleans. The Bobcats were named in part for previous owner Bob Johnson, who was widely unpopular in Charlotte. Although Jordan was once Johnson’s minority partner before buying the team from him, I don’t think MJ likes the nickname at all. He often refers to the team as the “Cats” in conversation, dropping the “Bob” entirely. And “Bobcats” has always sounded like the name of a middle-school basketball team to me, one whose varsity was named the “Tigers” or something more ferocious. So here’s a chance to remind people of the glory days of NBA basketball in Charlotte. The name was so deeply embedded in the culture that even now people accidentally call the Bobcats the Hornets, and it’s been a decade since the Charlotte Hornets existed. So why fight it? Embrace the change. Become the “Charlotte Hornets” once more. Sure, it will cost several million to do this, but it will be money well spent and the new Charlotte Hornets will eventually make it up via jersey and memorabilia sales. This makes sense from both a financial and an emotional standpoint. 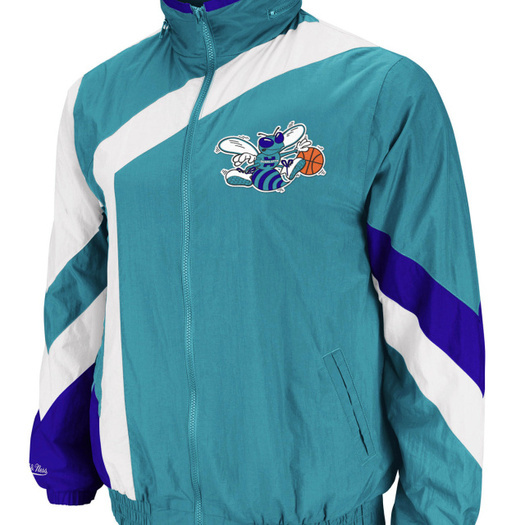 Bring back the buzz – let the Charlotte Hornets live once more. How do you blow an 18-point lead in the last five minutes of an NBA game? The Bobcats showed us all how Monday night, losing a 97-79 lead in regulation in the final five minutes and ultimately losing, 118-112 in overtime. In those last five minutes, the Bobcats kept jacking up difficult shots and couldn’t get a single rebound. They never got to the foul line, while Portland did a lot by driving the ball, slowing the game down and then grabbing offensive rebounds on its (rare) misses. It was remarkable, really, to see the Bobcats fritter it away in person. They did so much good work. Byron Mullens slammed home the most spectacular dunk of his NBA career – a vicious one-hander from the free-throw line to posterize LaMarcus Aldridge. If you saw it, you won’t soon forget it. Ben Gordon had a rare four-point play as part of his 29 points. Walker scored more points in the first half (17) than his season average (16.3). And still, the Bobcats messed it up. The defeat also means that the unfettered feel-good era of these 2012-13 Bobcats is over. It lasted a month, which was enough time for the Bobcats to win as many games as they did all of last season. But now reality has intruded. Once 7-5, the Bobcats are now 7-9 with two more likely home losses on tap for this week (the New York Knicks and San Antonio) unless they start playing a lot better. That 7-9 mark is still far better than 7-59 – their mark from a season ago that set a new NBA standard for futility. The Bobcats could lose 49 more games in a row and still not get there. But even with all the new players in the rotation, these Bobcats aren’t a .500 team. They are destined to slip further below that line of demarcation as the season progresses. They are a young team that is all over the place, closing games like a champ on one night and giving up huge leads the next. Eighteen points in five minutes? That’s a hard lead to lose even if you were trying to lose it, and the Bobcats weren’t. But they also weren’t the same team – almost complacent until the last couple of minutes, when they got jittery. Kemba Walker said Portland “out-toughed” the Bobcats late, which sounds about right. Aldridge (25 points, 13 rebounds) was dominant on the glass, and the Bobcats were as fragile as glass, and in the end they got handed one of those losses that is going to sting for quite awhile. In case anyone needed a refresher course on how bad the Panthers can be after some of the false hope provided by Carolina's win over Philadelphia on "Monday Night Football," it came on Sunday in Kansas City. The Chiefs -- who had lost eight games in a row, had the NFL's lowest-scoring offense and were 1-10 entering the game -- simply outplayed Carolina for a 27-21 victory. Carolina (3-9) still hasn't won two games in a row all season. 1) The Panthers never could bother Brady Quinn. He ate the defense up with one completion after another. They made Quinn, whose NFL career has mostly been one of disappointment and unrealized potential, look like Tom Brady. They even let him scramble for what was basically a game-ending first down on third-and-long. The Chiefs hadn't scored more than 16 points in their last seven games, but they had 17 at halftime. Cam Newton was pretty darn good in this game -- although he failed once again to lead a game-winning touchdown march at the end when he had time and a great chance on the Panthers' next-to-last possession. But Quinn was even more accurate. The Panthers' defensive secondary left much to be desired, as did the pass rush. 2) Ron Rivera was out-coached. The Chiefs took a huge gamble and made it work on fourth-and-goal from the 1 on the final play of the first half, as Romeo Crennel skipped the sure field goal and went for a TD. The Chiefs also looked like the far more disciplined team, drawing far fewer penalties. Rivera, on the other hand, punted the ball back to Kansas City and relied on a defense having a bad day to stop the Chiefs on a three-and-out late in the game, which it couldn't do because of Quinn's scramble. 3) The Panthers really just aren't that good. Their offensive line has problems, as we know. But so do a lot of other places (wide receiver, secondary, D-line and on and on). This is not a team that looks to be "trending up," as Rivera said Jerry Richardson told him it needed to be to keep his job after this season. This looks more like a team that is legitimately a 3-9 team. Not a particularly unlucky team. Just a bad one.